Driven by the desire to make a difference and inspired by other great 100+ Women Who Care (WWC) groups around the United States, Canada and the world, we have created a local philanthropic group of fabulous women who are capable of doing great things in our community. We are an informal group of women who love to GIVE. The Valley of the Sun chapter and its events are run by an Executive Committee of big-hearted volunteers along with the assistance of some very generous sponsors. 100% of our members’ donations go directly to the local charities selected at our quarterly meetings. The goal of the group is to support the wonderful work that our local charities do in funds, exposure and awareness in a minimal amount of time. 100+ women x $100 = $10,000+ for a local charity in 1 hour – 4 times per year (quarterly). We currently have three (3) groups meeting throughout the Phoenix metro area – Ahwatukee, Scottsdale and East Valley. Our members come from all over the Phoenix metro area to participate. Our goal as a chapter is to donate $500,000 in five (5) years to local nonprofit organizations. The first 100+ Women Who Care chapter was started in 2006 by Karen Dunigan, the former mayor of Jackson, Michigan. Karen always found it interesting that one of her greatest ideas was born from something as simple and basic as baby cribs. It was during lunch one day with executive leadership from the Center for Family Health that the Center’s CEO mentioned a need she learned about regarding new mothers and portable cribs. Karen’s ears perked and she told the CEO that would be something she would like to know more about. Another lunch was scheduled to specifically discuss the need. As Karen began thinking about Center for Family Health’s need, she knew there had to be a way to quickly and easily meet the financial request that was presented. With all of her involvement in the community, Karen knew she could call ten people and ask them to write $1,000 checks, but she also figured she knew 100 women who would each give $100. She began making phone calls and scheduled a meeting. At that first meeting, in one hour, a group of Karen’s friends heard the story and each wrote checks to the Center for Family Health resulting in a $12,800 donation. Karen’s simple request made it possible to supply new mothers with the simplest need: a crib. Karen recognized she was on to something special and it too was in its own infancy and needed to be nurtured to grow. She founded the first 100+ Women Who Care and scheduled quarterly meetings. The rules were simple – any member could present a need in the community, the need had to be immediate and the money had to remain local. The idea was a worthy cause benefits many in the community. 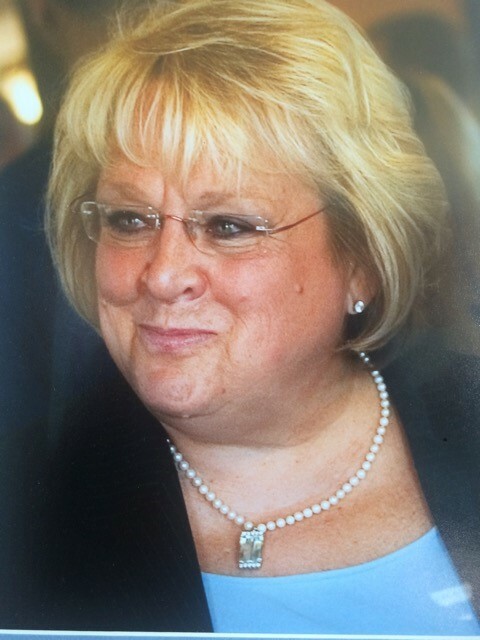 Sadly, Karen Dunigan passed away on April 15, 2014 after a battle with cancer. Karen saw people for their strengths and realized when 100 or more people come together in a room, each person becomes a powerful force for doing good work while lifting up their community. We are each strong in our own right, but together we are stronger. Karen knew this, applauded it and was so very proud of 100+ Women Who Care. Karen’s legacy lives on through the expansion of 100+ Chapters throughout the world. There are now more than 700 chapters either fully operational or under development; they include women, men, people and kids chapters. One of the best ways to see how our Members are making an impact is to experience the Big Give; the day we present the donations to the selected charities!